Oh God, not another article about the Unicorn Frappucino! By now, you're probably tired of the hundreds of articles written about the short-lived Unicorn Frappucino from Starbucks - especially the taste-test opinion-pieces, so instead of reading a drawn out explanation of the "three Snickers bars' worth" of sugar a literal sugary treat drink has, here are some pros and cons of the now extinct blue-pink drink. Pro: You get to share stylish, insta-worthy pics of your frap. Pink, blue, purple, whipped cream, and "magic sugar dust" on top? #Aesthetic, am I right? Con: You and literally thousands of other people have the same "hot shot" pic on your timeline. No, no - I'm sure your angled shot of the Unicorn frap looks way better than your friend's. Definitely. Pro: You'll get a jolt of sugar-fueled energy with just a few sips. A few seconds after the cool rush of a mild brain freeze wears off, you'll start to feel that wonderful sugar high. Love them sugar highs! Con: That sugar crash is a cold-hearted b. Pro: You have some in-the-know knowledge about a hot-topic conversation item. 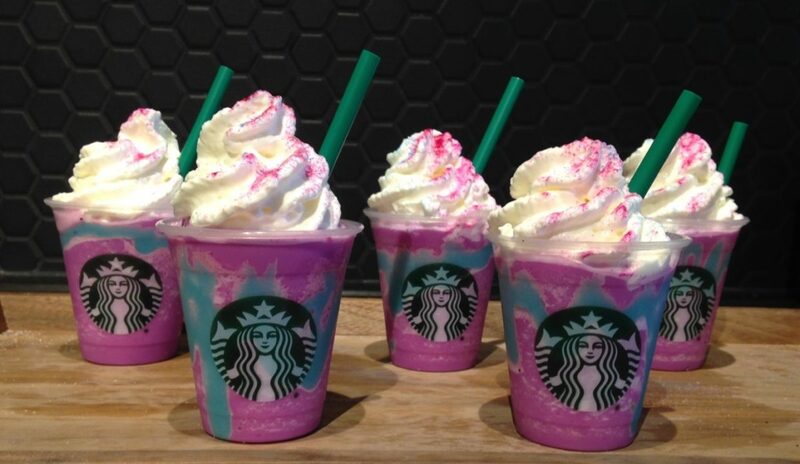 "Oh the Unicorn frap? Yeah I've heard of it!" *gets ready to gush about your love of it* "Oh you hated it? Yeah...so did I...totally!" Whoops. Con: Nobody wants to hear about the Unicorn frap anymore. Oh, you had the Unicorn frap? So did l i t e r a l l y everyone else. Pro: You get to indulge in something that's only around for a limited time. Four years from now when Facebook reminds you of a post On This Day, you'll get to look back fondly on your time with the Unicorn Frappucino and think: "wow, in the past four years, I've really never done anything as incredible as drink that magical drink!" Con: If you really did enjoy the drink, you won't be able to get it again because it was a limited time offer. You will have nightmares every time you go to Starbucks, watching your world crash before you as the "Unicorn Frappucino" sign on the menu with a big X over it saying "sorry, no more left" comes down. And then, you'll think of better days, like April 19th, 2017, when the Unicorn frap existed and all was right in the world.